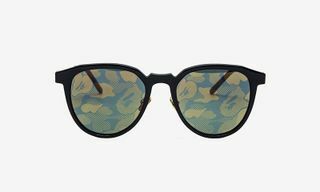 Founded in 1993, A Bathing Ape – or BAPE as it’s known to most – is commonly credited as one of the first ever true streetwear brands, and is a pioneering label in both Japanese and global street culture. Part of the original Ura-Harajuku (Harajuku Underground) scene alongside influential figures such as Hiroshi Fujiwara of Fragment and Jun Takahashi of Undercover, NIGO started out by opening a retail store alongside Takahashi called “Nowhere”. Shortly after, he began printing his own T-shirts in limited quantities, selling them from his store as and when he produced them. 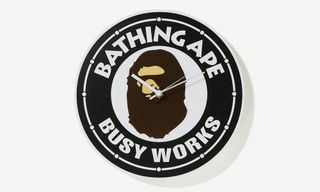 Over the time, the operation expanded into a proper brand which he named “A Bathing Ape”. 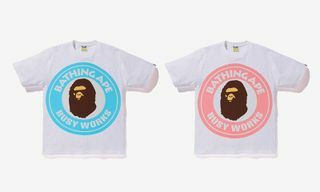 The name is inspired by the Japanese idiom, “A bathing ape in lukewarm water”, a phrase used to describe somebody who overindulges to the point of complacency – ironically a tongue-in-cheek reference to precisely the hyper-consumptive youth whom NIGO was targeting with his brand. 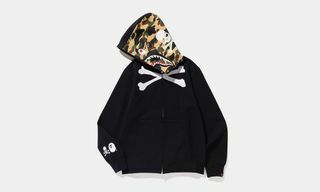 In the years that followed, BAPE quickly grew to massive successes in its home country, and by 1998 the brand was selling in over 40 locations across Japan. At this point, NIGO withdrew BAPE from all wholesale locations, choosing instead to operate out of a single flagship location in Tokyo. This combination of exclusivity and unavailability only fed the hype surrounding the brand, and along with a handful of other labels such as Supreme in NYC, BAPE gave birth to the streetwear format as we know it today – limited releases, instant sell-outs, lines of customers queuing around the block. In the mid-2000s, a series of events led to BAPE’s exposure beyond Japan. 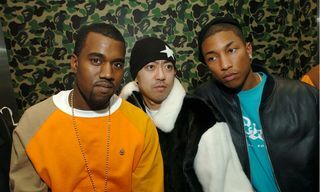 Emerging rappers such as Pharrell Williams and Clipse regularly wore BAPE, and attention started turning to the Japanese streetwear scene. 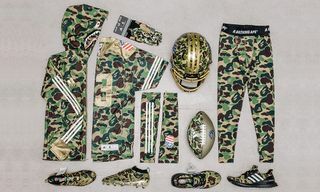 This reached its peak in 2007 when Soulja Boy released the video for his breakout single “Crank Dat”, which featured BAPE’s iconic Bapesta sneakers and even mentioned the brand by name in the lyrics. 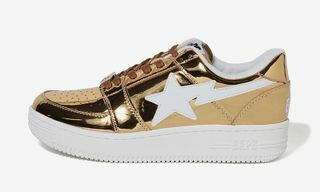 The shoe’s design was simple – a modified, premium version of Nike’s Air Force One silhouette, featuring stars in place of the original Swoosh, and “BAPE” in place of the “AIR” detail on the midsole – but its combination of street aesthetic and premium price point made it an essential model for anyone who was “in the know” about streetwear. 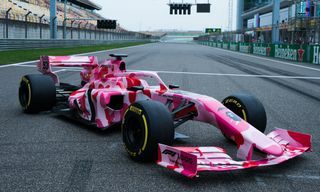 In the years that followed, BAPE continued to grow as a streetwear powerhouse, whilst NIGO expanded into other projects, launching the Billionaire Boys Club and Ice Cream clothing lines with Pharrell and indulging in his newfound celebrity status in the west. Unfortunately, the brand’s skyrocketing popularity collided with its limited supply, creating a massive market of counterfeit and bootlegged product, and the brand lost some of its sheen amongst its committed customer base. In 2010, NIGO announced his departure as the brand’s CEO, selling BAPE to Hong Kong fashion conglomerate I.T for just $2.8 million USD. 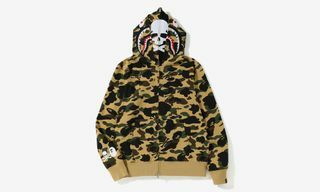 Since their acquisition of BAPE, I.T has worked hard to revitalize BAPE as a profitable, commercial brand, loosening its previously tight supply model and turning coveted rare pieces into regular, staple releases in every collection. 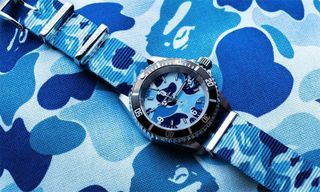 Though its status might not be the same amongst diehard, old skool streetwear heads, its recent adoption by new wave rappers and enduring status as one of streetwear’s most iconic labels has seen BAPE return to its former hype, albeit in a different form. Just as the brand’s success was built on fervent consumption by a trend-hungry youth, its current popularity is fuelled by that very same spirit.